Last year, Apple made some serious gains with the A11. For the first time in the lineup’s history, Apple made huge gains with multi-core performance. The A11, which powers the company’s 2017 iPhone lineup, features six cores. These can run simultaneously when executing strenuous tasks, giving the iPhones a strong lead over Android, aided by Apple’s hardware/software integration. So naturally, the bar was set quite high prior to Samsung’s Galaxy S9/Galaxy S9+ launch. Now that the devices are official, it’s time to see whether it’s Android or iOS with the performance lead. For that, we’ve got just the post for you this weekend. Take a look below for the details. With the A11, Apple is finally at level with Qualcomm’s Snapdragon processors. Prior to the processor, and its predecessor, the A10, Apple simply did not devote enough resources to multi-core performance on the iPhone. This fell in line with its objective of designing the iPhone for an everyday user; with a greater focus on day-to-day usage, rather than high-end gaming and other processing tasks. However, Apple had to shake things up with the iPhone X. It had to justify a $1000 price tag for the smartphone and therefore, needed to equip it with a strong performance punch. This is visible in today’s test, but the iPhone X is unable to beat the Galaxy S9+, powered by the Snapdragon 845 consistently across all fronts. Today’s speed comparison of the iPhone X and Samsung’s Galaxy S9+ shows a strong lead for the latter. While Apple’s flagship offers better performance in 4K and initial app startup, Samsung’s gadget beats the iPhone when it comes to retrieving background apps. This is undoubtedly aided by 6GB RAM that is present on the S9+, and hints at the fact that maybe Apple needs to stop relying on its unified ecosystem as processors and hardware become more advanced. 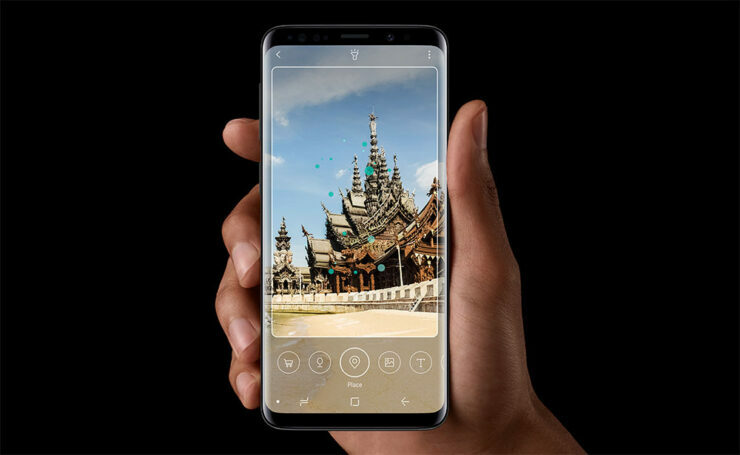 For data retrieval and network performance, Samsung’s Galaxy S9+ beats the iPhone X. However, before you count out Apple’s tenth anniversary smartphone, the iPhone X blazes past the Galaxy S9+ in GeekBench; paying adequate homage to Apple’s performance and architectural gains with the A11. Take a look at the video above and let us know what you think in the comments section below. We’ll keep you updated on the latest.